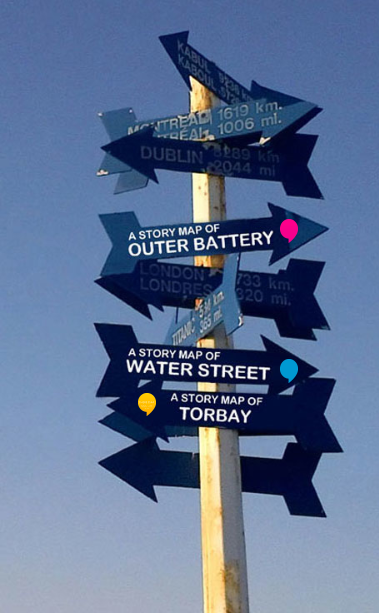 Using traditional mobile phone technology, [HERE]SAY lets you hear personal stories on location. When you're out for a walk, look for the coloured [HERE]SAY signs on light poles. You'll see a phone number and a 3-digit code. 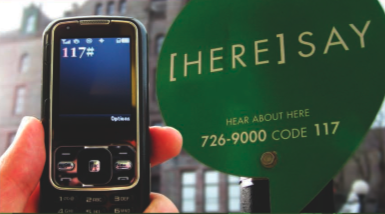 Dial the number on your mobile phone, punch in the code, and hear a story about the spot where you're standing.